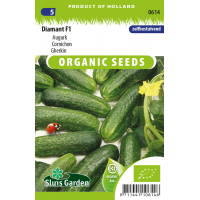 Diamant F1 is a parthenocarpic (self-pollinating) variety which is resistant to both powdery and downy mildew. Beautifully strong and compact plant, with attractive dark green, smooth fruit. Excellent variety for pickling and bitter-free. 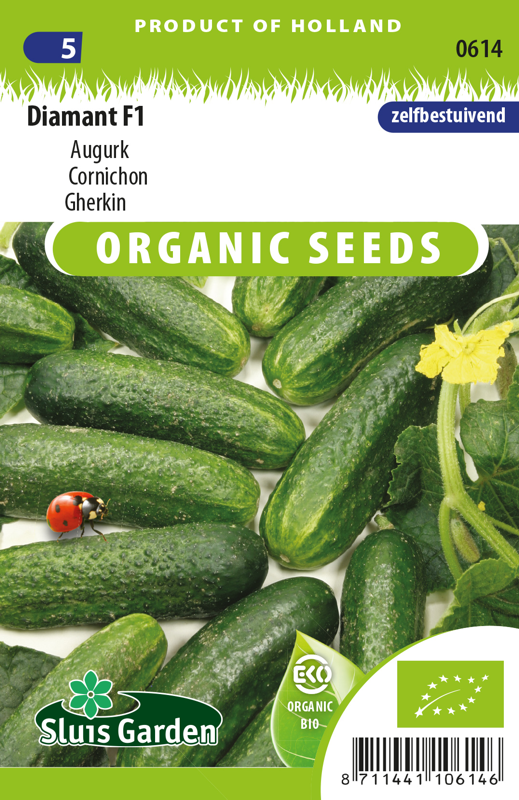 Sow in a greenhouse in seed trays. Alternatively, sow directly in pots of approx. 8 cm with 2 to 3 seeds per pot. After germination keep 1 plant per pot. As soon as the plants have 2 true leaves, transplant after mid May to a sheltered, sunny spot. Can also be cultivated on lines.